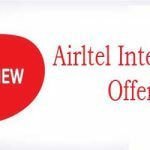 If you are looking for GP Internet offer 2019, than read this post. Grameenphone is the leading telecom company of Bangladesh. According to the daily star report, it has more than 56 million subscribers. To serve their subscriber they are offering different types of facility regularly. These facilities include talk time facility, internet bonus, free internet offers and internet offers. This post provides all the necessary information about GP internet offer/ Gp internet packages/Grameenphone internet packages. Here is all about GP internet package 2019. All GP internet offer 2019 have been updated to this article. This is the time to explore new to newer things. To explore these new ideas people browse all day long. To make your exploration more interesting we are giving you the Grameenphone internet offer/Grameenphone internet offers/GP internet package offer here in our site. Here is the list of all Grameenphone internet packages. All the data are listed according to new data. I will try to update the GP internet package list regularly. This list is only for GP internet offer 2019 BD. Users search for this offer in many ways like GP 1gb internet offer, GP offer 1gb 20tk, GP 1gb 5tk, GP 1gb offer 9tk, GP free 1gb offer, GP 1gb 50tk, GP internet offer 1gb 50tk, GP 1gb free and so many like this. Here are all the details about GP 1gb offer. One of the most exciting offers is GP 1GB offer 9tk. One user can purchase this offer for 4 times in maximum. It is a monthly pack. The validity of this offer is 28 days. To activate this offer dial *5020*2217#. There is another new offer of GP internet which is GP 1GB offer 19tk. The duration of this offer is 14 days. So get hurry and buy this offer. It takes only 19 BDT as for cost. For activating this offer you have to dial *5020*2218# from your GP sim. One can also purchase 1GB internet only at 18 BDT. But the validity of this offer is only for 8 hours. To enjoy the offer dial *121*3234#. So those who are looking for GP offer 1gb 20tk, all of you can buy this offer at only 18 BDT. GP 1gb internet package price varies for several offers. This price is being fixed to base upon the validation time. We have a new offer, it is GP 29 taka 1GB offer. The validity of this offer is 5 days. Total cost of this offer is 29 BDT. You can activate this offer by dialing *121*5087#. Grameenphone has an interesting offer at 50 BDT. The validity of GP internet offer 1GB 50 tk is 7 days. To activate this offer dial *121*3844#. Make sure about one thing this is a special offer. If this offer isn’t activate by this code than you can choose another one. GP 1 GB internet offer is now available at 104 BDT. The validity of this offer is 7 days. The activation code is *121*3056#. 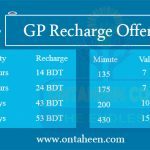 Here is a list of GP 1GB offer for the betterment of the visitors. So, guys, those who are looking for GP internet offer 1gb 16 BDT, I have an excellent offer for you guys. you can enjoy 1 GB data pack by 21 BDT. You can enjoy this offer for the next 8 hours after your activation. To enjoy this offer dial *121*3234#. so the people who are looking for GP 10 taka 1gb, GP 1gb offer 2017, GP internet offer 1gb 50tk and so on can pick anyone offers from the above. GP 1.5 GB offer is also available. The total cost for this offer is 104 BDT. It is a weekly package. You can activate this offer for 7 days. If you want to activate this offer, dial *121*3344#. Recently Grameenphone company gives a super offer for their customers. Users can enjoy 2 GB data pack at only 38 BDT. So the guys whom you are looking for GP 2gb offer you enjoy this one. This offer is available for two days from the activation date. To start this offer dial *121*3242#. So guys wish you happy browsing. We have another GP internet 2 GB offer at 44 BDT. If you want to activate this offer, just dial *121*3242#. This offer is valid for 3 days from the activation day. Users can enjoy videos from opera browser during this offer period. Recently GP provides an excellent offer for their respected customers. It is GP 3GB offer. To activate this offer dial *121*3380#. The validity of this offer is 2 days. The cost of this offer is 44 BDT. There have another GP 3 GB offer at only 44 BDT. On this offer user gets 2GB data for any network & 1 GB data pack for only 4G networks. The activation code of this data pack’s is *123*044#. The validity of this data packs is 3 days. Many users are looking for GP 3.5GB offer. For them here we update the details about GP 3GB offer. It is a monthly package offer. In this offer, you also get 50% 4G data pack extra with existing data package as bonus. You can activate this offer right now. To activate this offer you have to dial *121*3010#. It takes 427 BDT for costing. The activity period of this offer is 28 days. Have you already replace your 2G/3G GP sim to 4G, before replacing get know about GP 4G internets offer. If any customer replaces his/her 2g or 3g GP sim to 4G then he/she will be eligible for 4G SIM Replacement Offer. For replacing their sim from 3G to 4G they get 5GB 4G data pack. This data pack is eligible for 7 days (activation day+ 6 days). It has no auto renewal feature. One customer can get this offer for only one time. With this 5GB data the customer also can enjoy 1.5GB 2G OR 3G or 4G data at free of cost for the next 7 days. After finishing this data pack they again go back in PayGo rate for any GP internet package. This offer is not eligible for Skitto customers. GP provides some night packages. GP has a 1 GB internet offer + 3 GP SMS at 30 BDT only. The validity of this offer is 14 days. The activation code is * 121*3843#. there is another offer 2 GB internet pack at only 36 BD for 7 days. Main internet balance is 1 GB, it is valid for 7 days. Rest of 1 GB has 24 hours validity. To activate this offer dial * 5020 * 2214 #. One can also enjoy 1.6 GB + 500 MB facebook package at only 104 BDT. It is valid for 7 days . the activation code is *121*3842#. GP has another 2 GB night pack offered at only 61 BDT. It has to use from 12 am to 10 am. the validity of this offer is 7 days. To activate this pack dial *121*3069#. Here is the all about GP internet offer 2019 night pack. Users make the search for Grameenphone internet package recharge. The customer can also enjoy internet packages by recharge. To enjoy 1GB data pack for 7 days they have to recharge 86 BDT. The customer can also purchase 1.5 GB data pack for 7 days by recharge 104 BDT. 2 GB internet package is also available at 129 BDT. The validity of this 2 GB data pack’s is 7 days. The customer can also use the flexiplan app to purchase any kind of such offers. If you are looking for GP unlimited internet packages but there is no offer like this. but one can purchase 20 GB internet pack which is valid for the next 28 days from activation day. The activation code is already provided in the GP internet package list. Or anyone can use the flexiplan apps to activate internet packages. 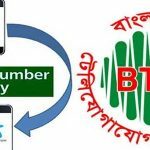 We have also found that people looking for Grameenphone unlimited internet offer at 11.50 taka, as we’re not aware of this type offers so it will be updated later if find any kind of offer news like this. This is the all about GP internet package unlimited 2019. Users also looking for GP MB offer/GP MB pack in many times. It happens that sometimes it is very urgent to browse but you have no data. so to buy data pack recently I’m giving you this idea about the topic. Users make the search for GP offer 64mb, GP 500 MB free. It is sad to say that now at this moment this type of offer is not in avail. But users can enjoy 145 MB data package at 15 BDT. To enjoy this offer dial *121*3846# from your Grammenphone prepaid sim. In the above of this article, I’m just mentioned about all paid offers. Now I’m going to tell you about the Grameenphone free internet offers. here I’m just mentioned about GP free internet offer 2019. Users can enjoy 3 GB data pack at a very cheap rate. The validity of this offer is for 7 days from the activation. One can enjoy this offer by 148 BDT. To activate this offer dial *121*3262#. You can also activate it by recharge 148 BDT. Here I’m giving you the all new GP internet offers. So the guys who are looking for GP new offer, GP internet offer new, Grameenphone latest internet offer, GP new offer 2019 can pick anyone from the above list. Guys you can also dial *121# to know the latest available offers or keep visit on our site regularly. Some users also looking for GP internet offer 2019 may, GP internet offer 2019 April, GP internet offers 2019 March, I want to suggest you guys don’t look for this offers as this months have already passed away. 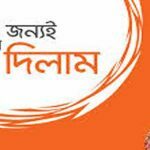 Same suggestion for the users who are looking for GP internet eid offer 2017, GP 3g internet package 2016, Grameenphone/GP internet offers 2017, GP internet package 3g offer, as this all has already passed away. Like other operators GP also gives some exciting offers for his new users. There has an excellent GP new sim offer.GP new sim offer 30tk 1gb is the new offer and is available those who have bondho/unused sim and who have to purchase a new sim. They can enjoy 1 GB data pack at 30 BDT as much as they want. All other Remaining offers will be updated here. Please keep in touch and comments which offer are you searching for? 20 gb 86 BDT kemne vai ektu bolen? This article was very helpful for all gp internet offer founders, gp internet user can be found her favorite offers. Thank you Arman for Your comment. We are adding new offer everyday. and revised the previous offer to update the informatio. Keep Visiting our site. First of all thanks for publish the valuable content for the internet offer, I will follow your site to know more offer. I hope you will update offer regularly. I have visited more site to know gp internet offer but they are did not update their offer regularly that’s why I did not seen current offer. But you offer exact offer. Thanks again for the post.